The word galore means “in abundance.” In Michael Crummey’s Galore, the only things in abundance are misery, desire, greed, and a compellingly tenacious will to survive. Galore roams the lives of the families in Paradise Deep, Newfoundland, in the late 19th and early 20th centuries. The landscape offers little respite. It’s bitterly cold, windy, and wet. It’s a fickle mistress given to cycles of plenty and want, imperilling those who try to eke out an existence by fishing, logging, and sealing. Death by starvation and exposure is ever-present. In living each day, we’re all that much closer to our own deaths — especially the hardscrabble residents of Paradise Deep. …death wasn’t sudden and complete but took a man out of the world piecemeal, a little at a time. The characters and the beautiful prose carry Galore through what I feel is an uneven narrative. The book follows mostly several generations of the Devine family. You can’t help but love them for the sheer effort they put into survival and the sacrifices they make to help one another along though a harsh world. Judah Devine (a variation on Jonah) is adopted into the fold after being rescued from the belly of a beached whale by a woman known only as Devine’s Widow. He’s known for his bright white hair, skin, and a pervasive foul odor that he passes on to his offspring. Judah’s origin and past is a mystery — he never utters a word. He becomes a Devine only after Devine’s Widow arranges a hasty marriage to her granddaughter Mary Tryphena Devine, to save “The Great White” from a mob. The Devines are resourceful and stubborn, two qualities that sustain them over the decades. 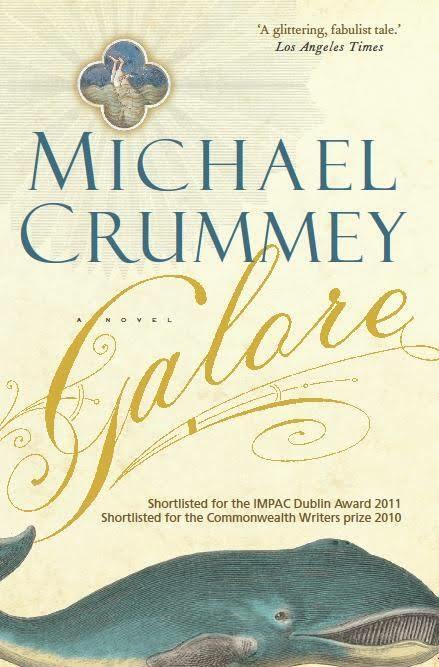 Galore and its characters are imaginative — Crummey does a great job chronicling everyone’s longings, desires, conflicts, and losses and you become invested as you follow the burgeoning families. This book has a deep and conflicted soul of its own and I loved it for that. The characters are resolute in their beautiful, pervasive, stoic catechism. They came finally to the consensus that life was a mystery and a wonder beyond human understanding, a conclusion they were comfortable with though there was little comfort in the thought. My primary quibbles with Galore are narrative threads raised and dropped and seemingly random time hopping that accelerates the plot. You care about the characters and it’s irritating when they’re suddenly elderly and you’re not privy as a reader to those missing years. Critical characters like Bride Newman simply die offstage and the revelation feels rushed — an afterthought. I would have loved a longer book that followed fewer characters more closely. I wants me s’more Newfoundland, b’y. 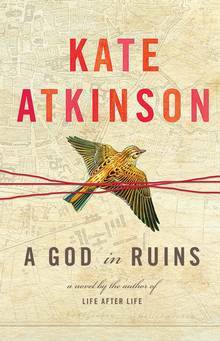 A God in Ruins is about identity, dutiful love, and above all, self sacrifice. 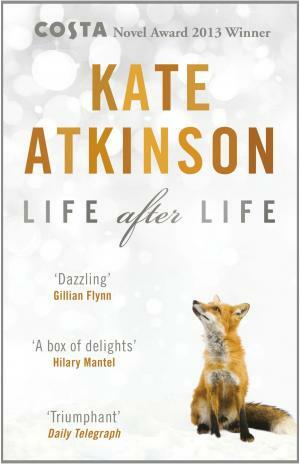 This book, a companion to Life After Life, follows mostly Edward Beresford “Teddy” Todd before and after his Second World War experiences. At first I was irritated with what seemed like a propensity to live a life of quiet desperation, in an unfulfilling marriage with an exasperating child. I realized that I was looking at Teddy’s life through the lens of the present, where flaky is the norm and commitment is rare. I enjoyed this book. It’s layered, nuanced, and complex. There’s plenty to explore here — it’s meaty with references to poetry that I have to admit were somewhat lost on me. Duty, honor, and love are compelling themes and it got me thinking about what sort of life is a good life — what it is that etches your life with meaning? Is forsaking your own happiness and well being for country, spouse, children, and grandchildren the key to a life well lived? For Teddy, it seems so — if only for the reason that a whole life can be erased in the instant. He had believed once that he would be framed by the architecture of the war, but now he realized, he had been erased by it. 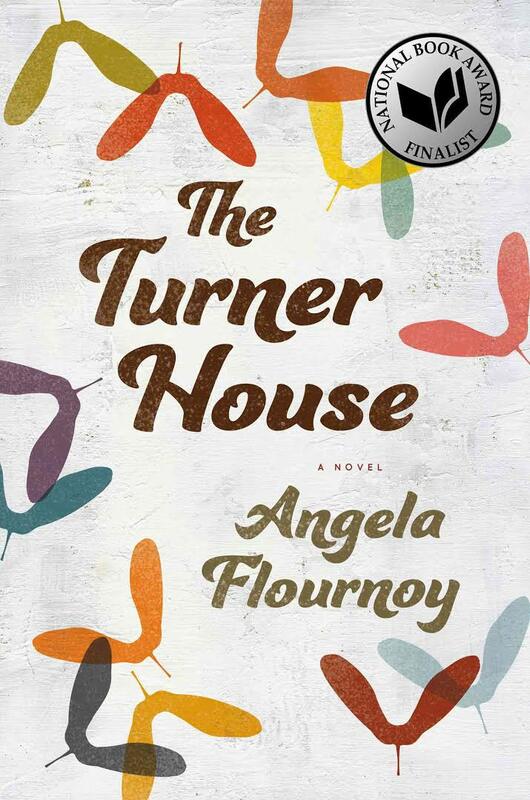 Identity figures heavily in The Turner House, Angela Flournoy’s novel about a family of fifteen set in Detroit, Michigan. The book follows the eldest Turner son, Charles, (a.k.a., “Cha-Cha”) and the youngest Turner daughter, Lelah, who in their own ways, are struggling to find a place for themselves in the present by conquering what haunts them from their past. For Cha-Cha, it’s a ghost — a haint that visited him as a child in the big house on Yarrow Street. This spectre is a hereditary apparition who also visited Turner patriarch Francis as a young man until he left the country for life in the city of Detroit. For Lelah, it’s a gambling addiction that causes serial eviction, a tenuous relationship with her only daughter Brianne, and of course, financial collapse. When you have 13 children in a single family, everyone is attention starved. Each Turner child jockeys for validation. They often talk over one another, interrupt, act out, and change the subject in an ongoing attempt to capture attention. Lelah gambles in search of silence and with 13 siblings, make no wonder. This search for silence felt all too true to me. My dad grew up in a family of 11 and my mom grew up in a family of nine, but that truth as depicted in The Turner House, carried the weight and fatigue of familiarity. It reminded me too much of how some people (close family) routinely interrupt, talk over others, and change the subject to this day in that constant wearying bid for attention — even in much smaller gatherings, of say, two. I’d hoped for something different — something deeper to come from the sheer possibilities inherent in the story of 13 siblings and their exponentially interwoven relationships. With 11 siblings orbiting around the stories of Cha-Cha and Lelah, they and their stories seemed flat. I can’t help but wonder if one or two or three of the other Turners examined more closely might have made for more intense reading. I discovered this book in the final round of The Morning News’ 2016 Tournament of Books. It was voted second overall next to The Sellout by Paul Beatty.